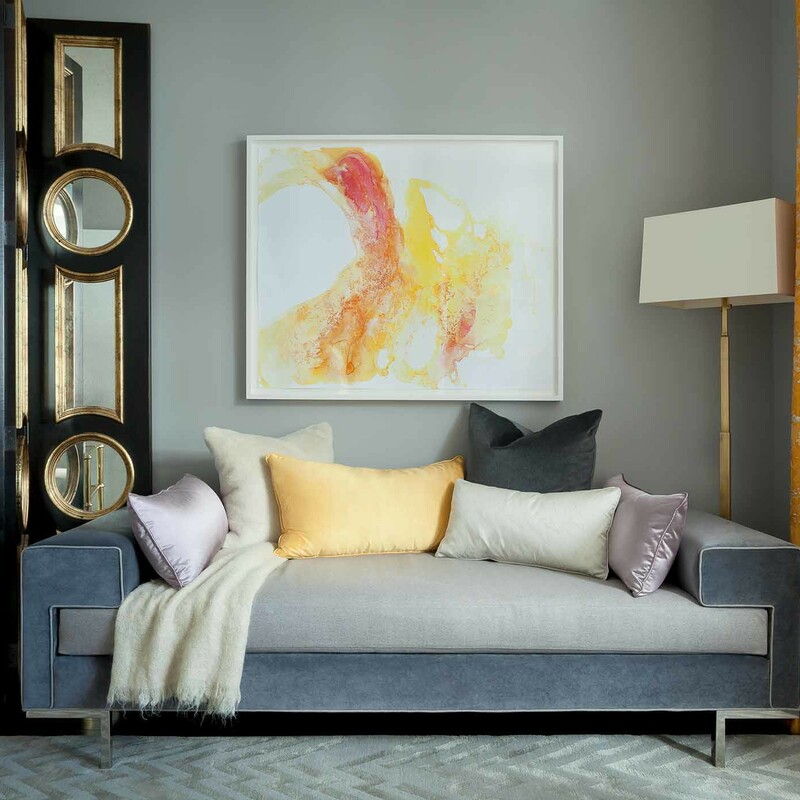 not long ago we had the distinct pleasure of designing a bedroom at lenox hill’s inaugural designer showhouse of new york. 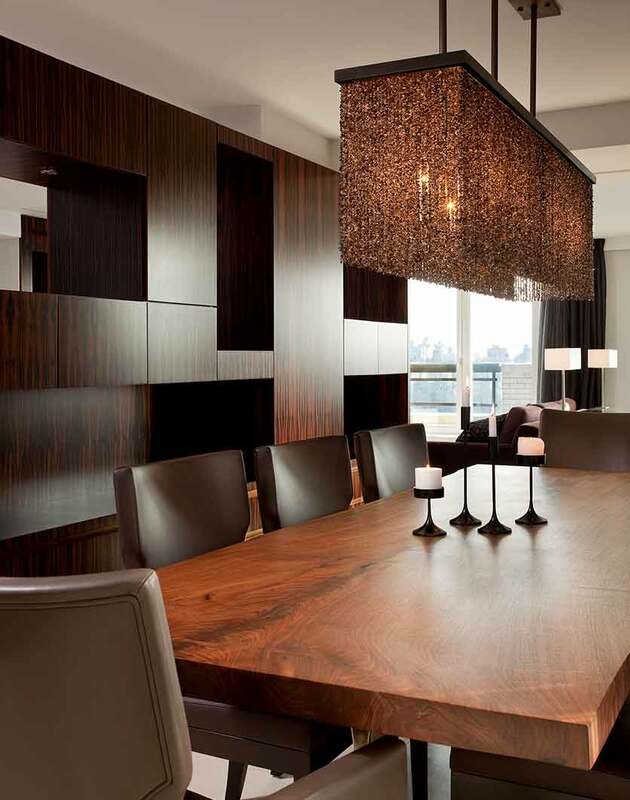 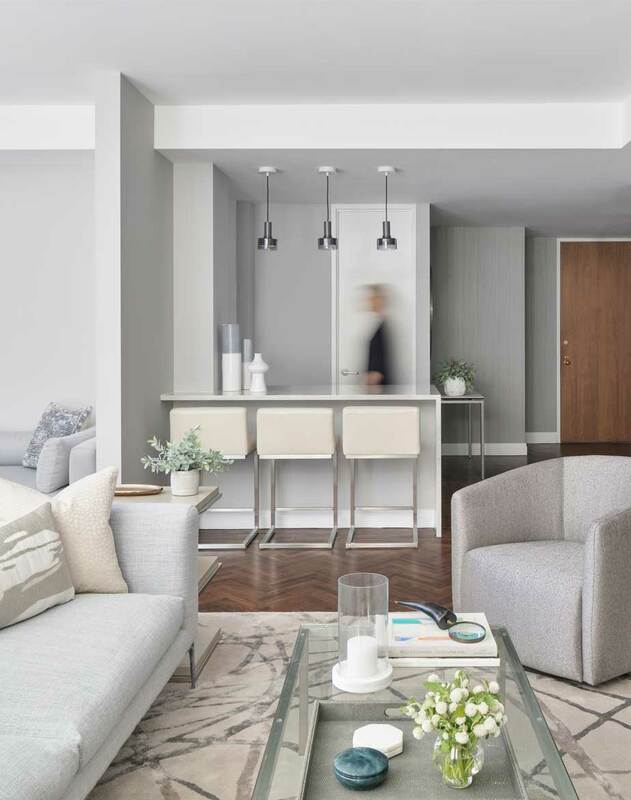 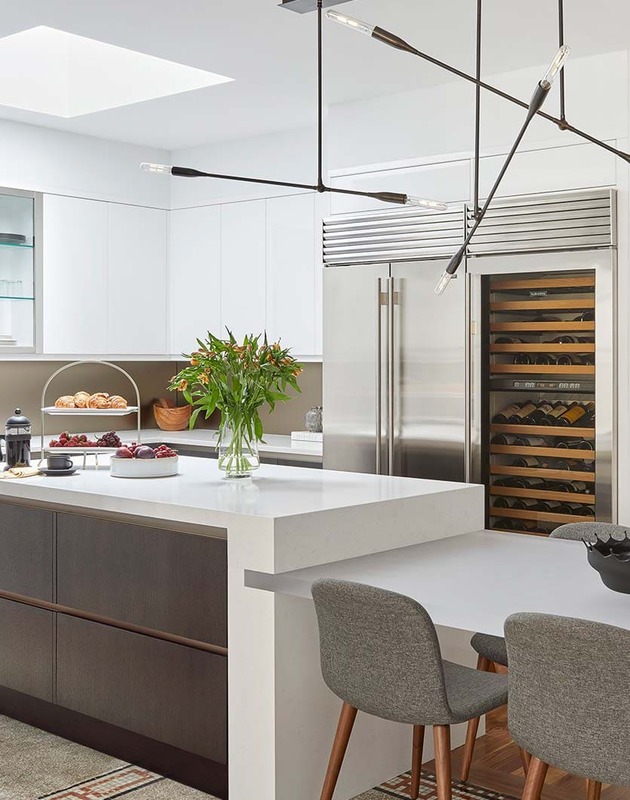 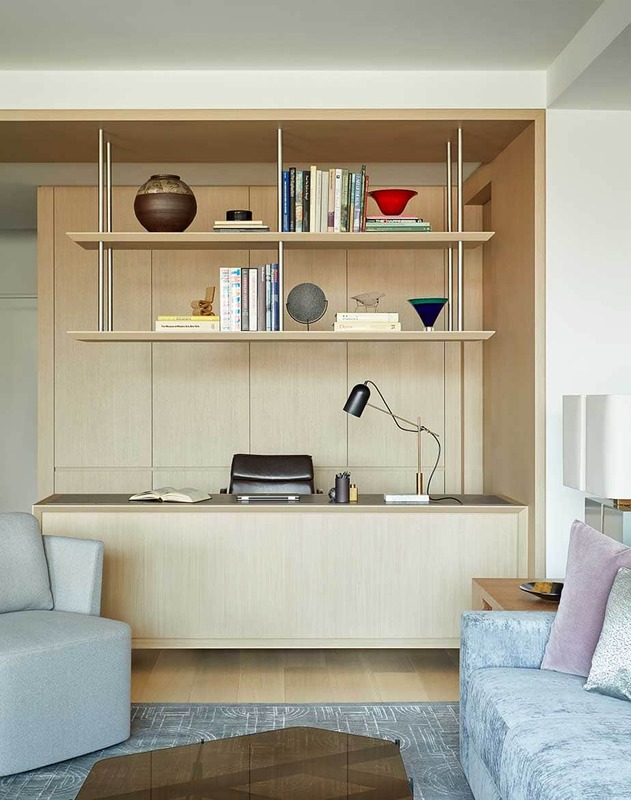 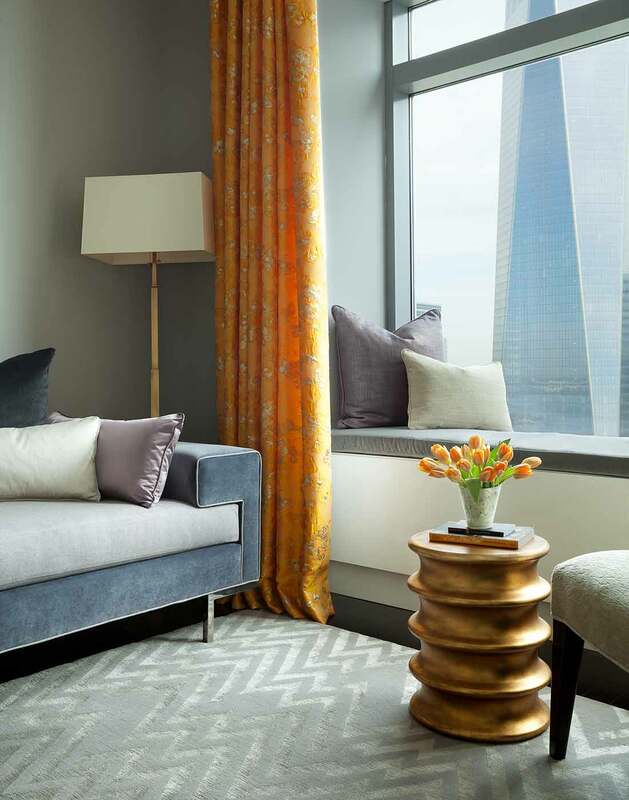 located on the 55th and 56th floors of the residences at w new york – downtown, the sun-filled apartment overlooks lower manhattan. 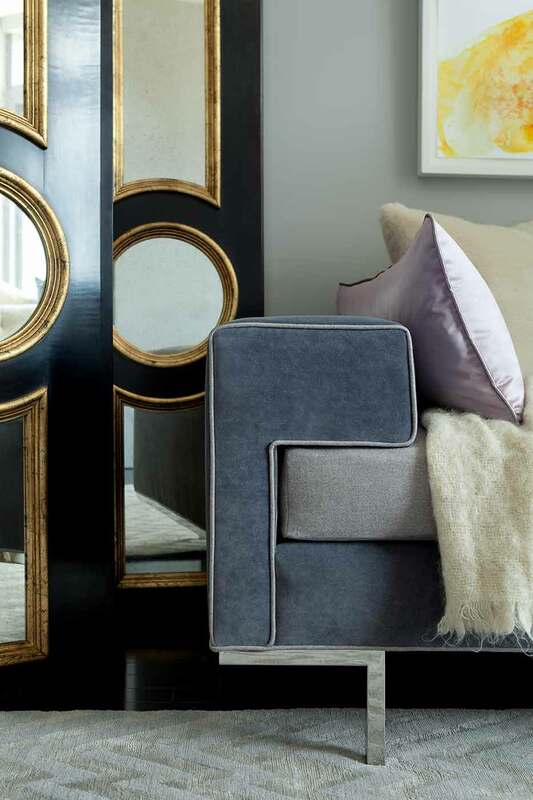 working primarily with fabric and furnishings from robert allen, we transformed the modern space into a stunning sitting room with feminine flair. 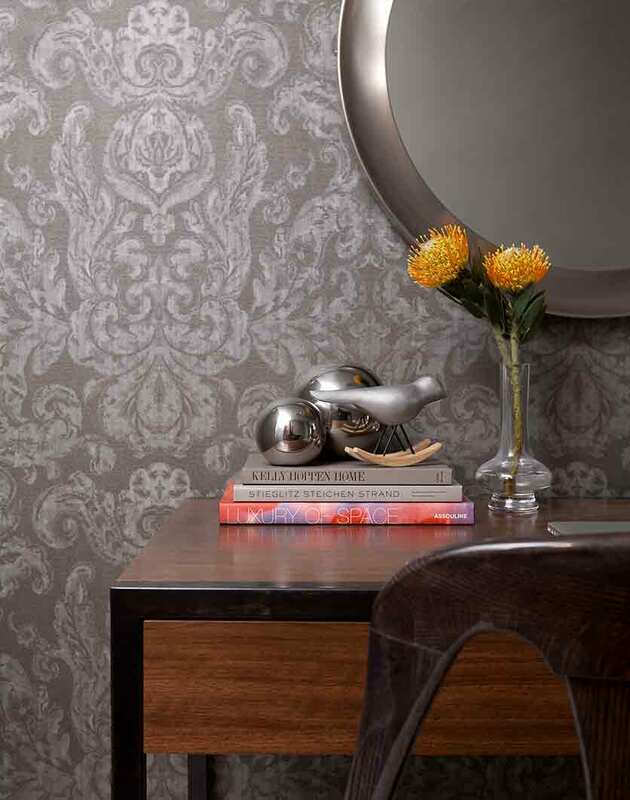 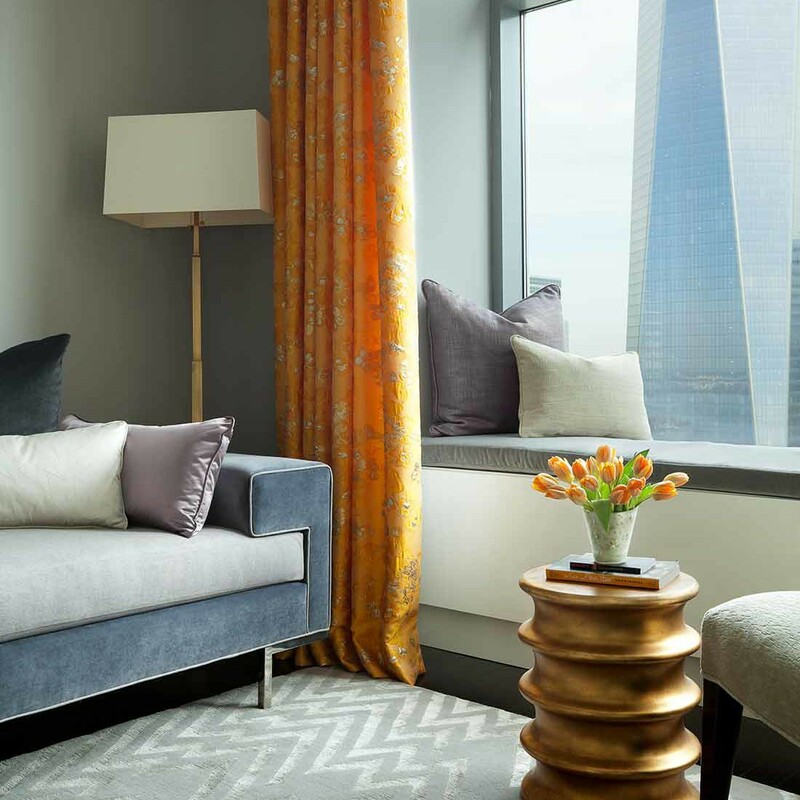 starting with samurai bloom, an opulent mango fabric with hints of gold from their beacon hill line, we designed drapes that served as the jumping off point for our scheme. 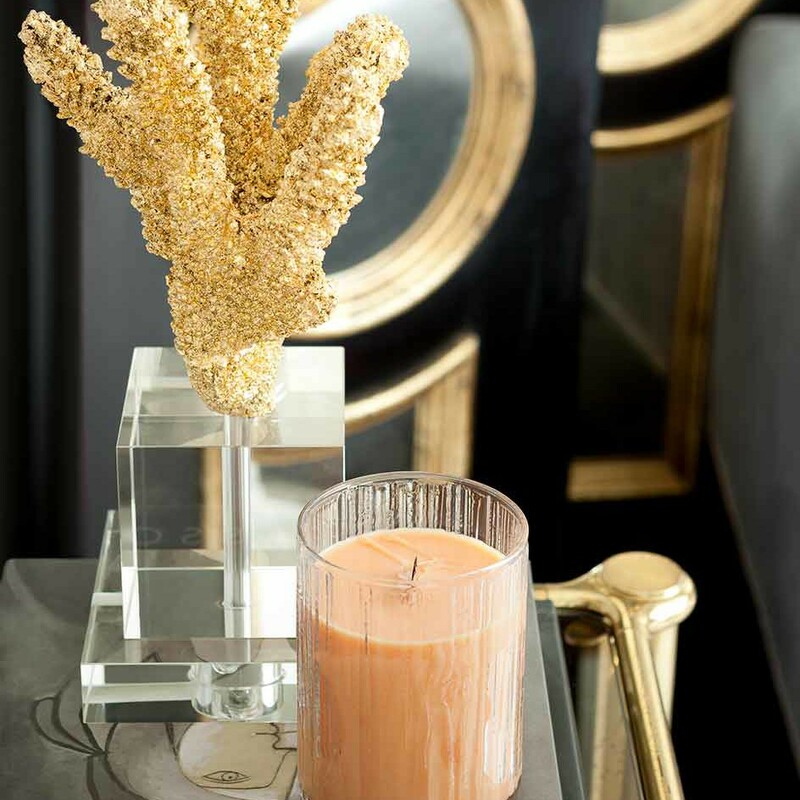 we used icy lavenders, muted greys, and champagne tones — which picked up on golden threads in the drapes — to round out the chic palette. 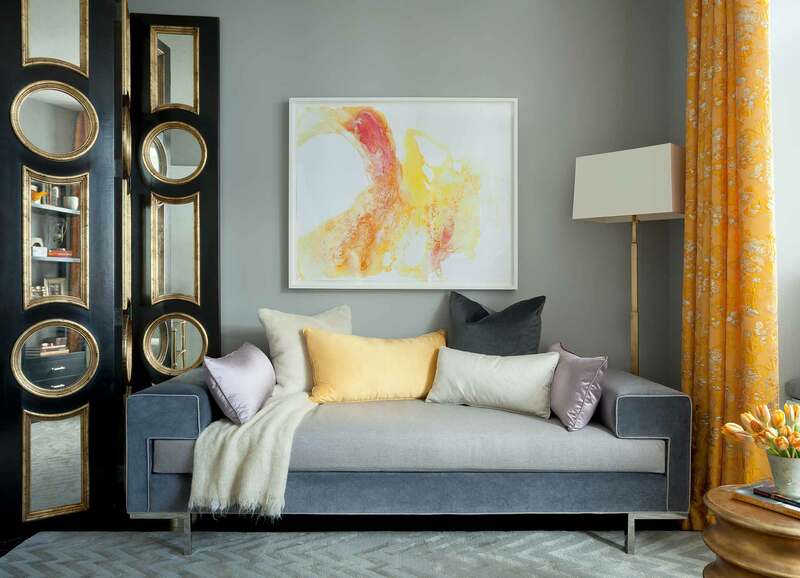 an abstract painting by eileen lang injects a sophisticated burst of color above an architectural daybed. 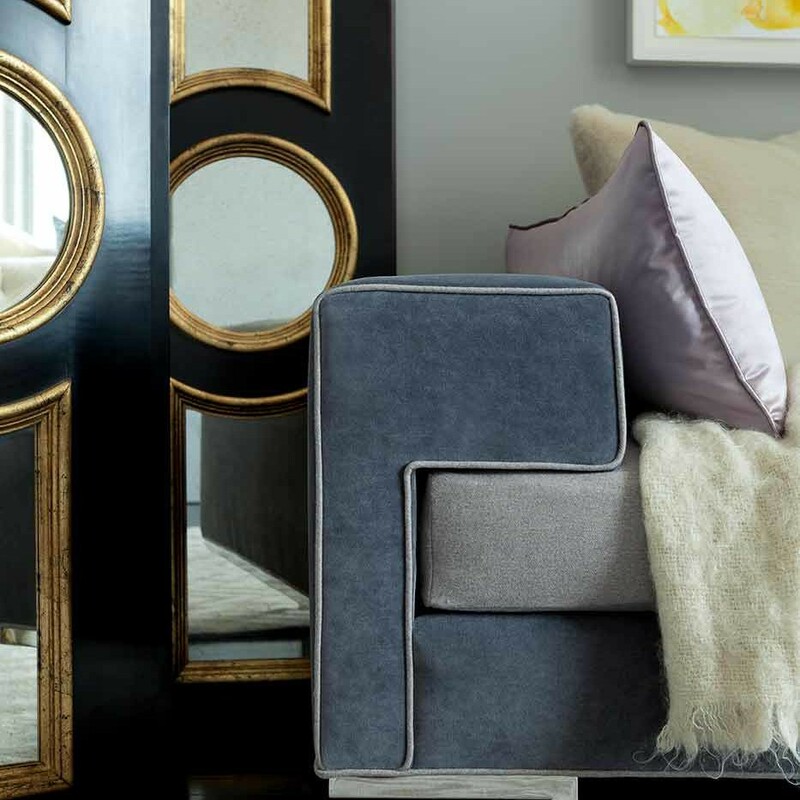 statement piping and complimentary fabrics call attention to the square arm of the piece, which also boasts lithe metal legs. 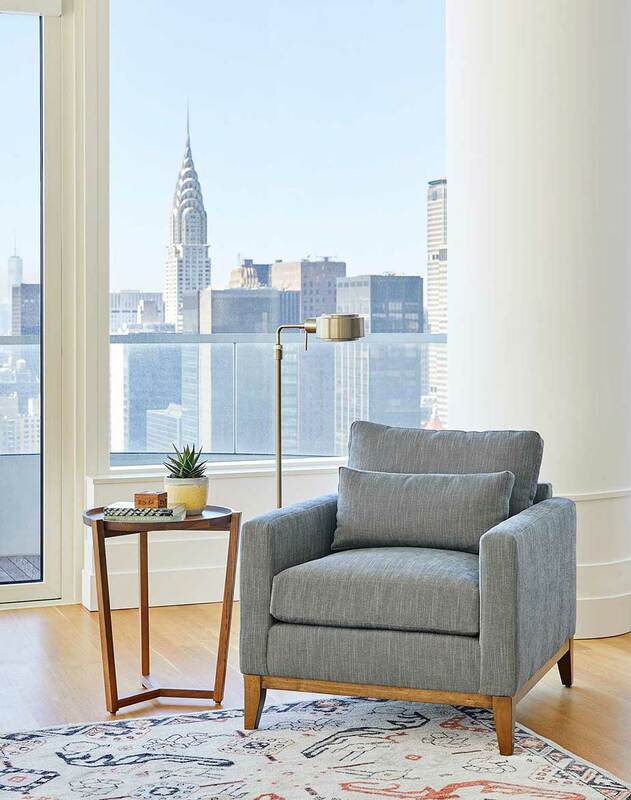 opposite the daybed, an otherwise transitional curved-back chair is made cozy by a richly textured cream fabric. 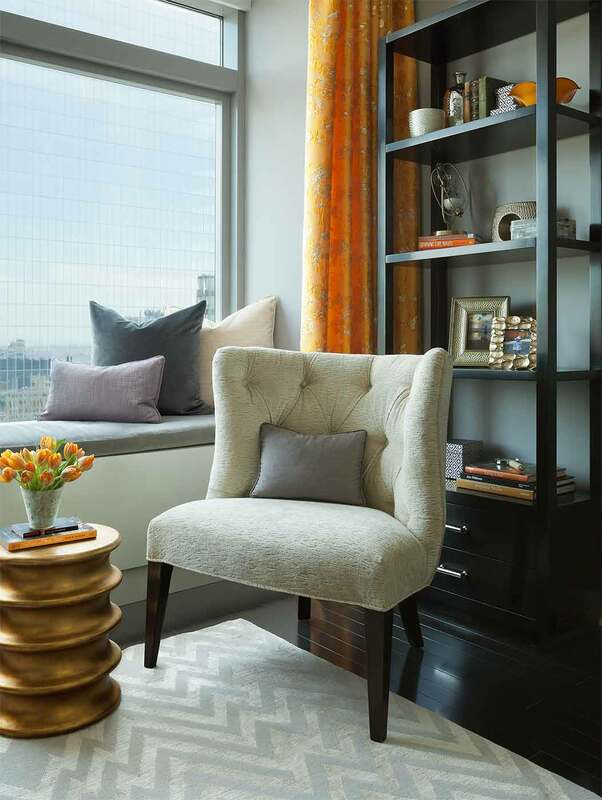 by furnishing a picturesque window seat with custom cushions and throw pillows, we gave guests an ideal spot to take in the spectacular views. 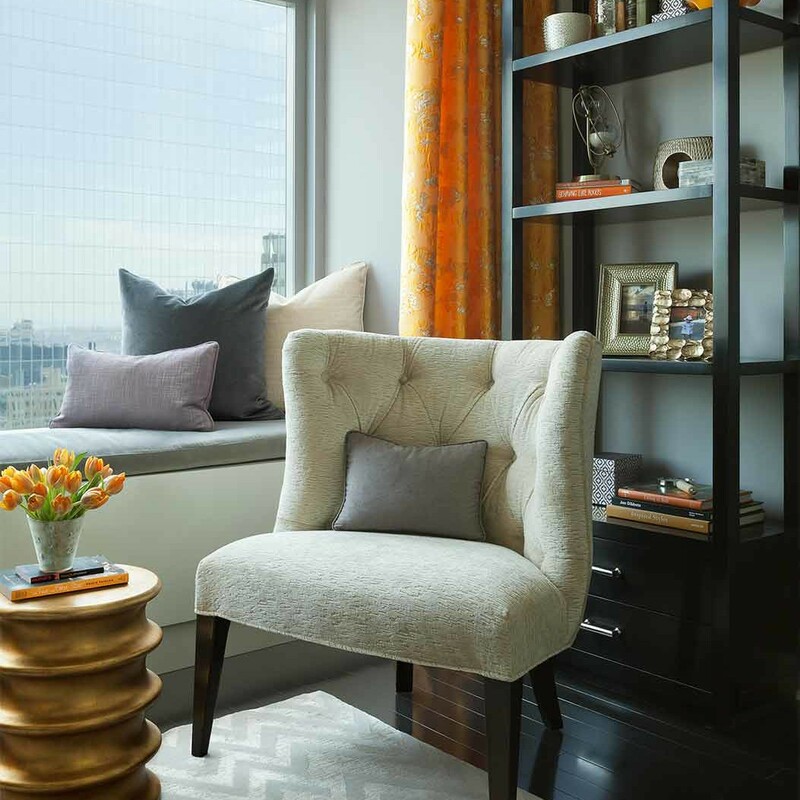 since an air vent is positioned parallel to the window, we factored in a cutout in the seat cushion to accommodate airflow. 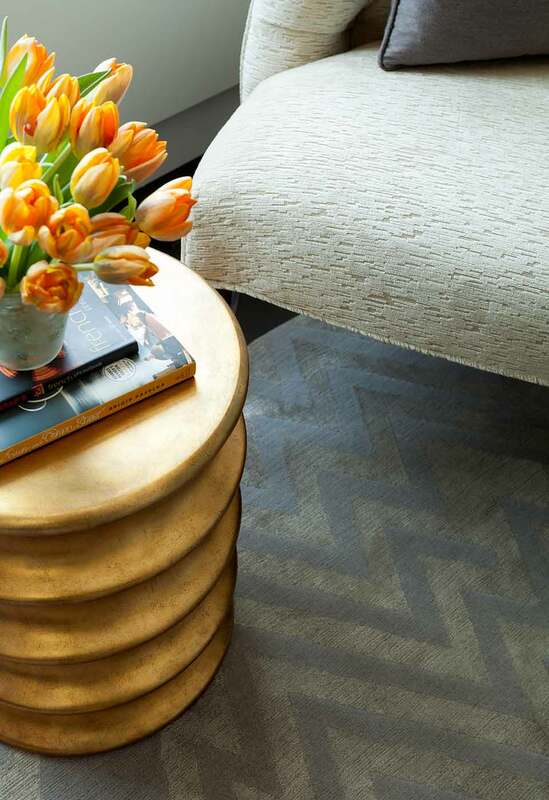 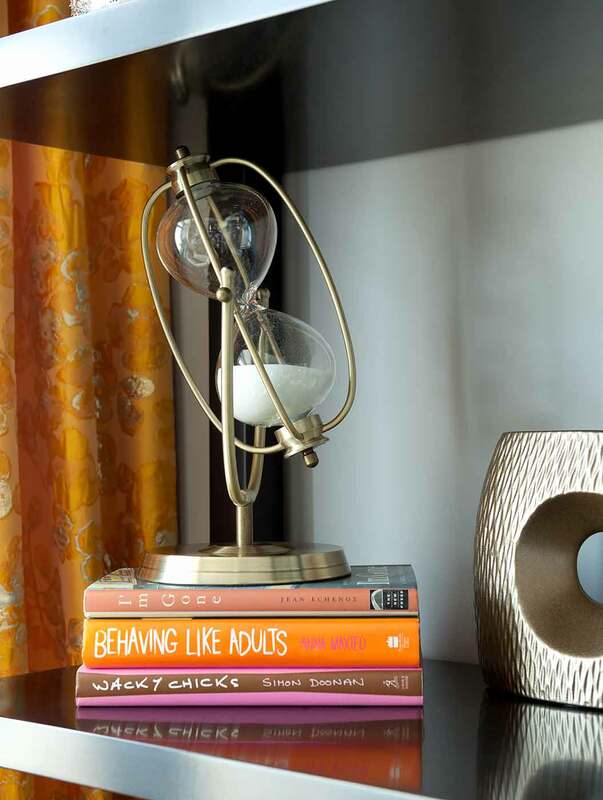 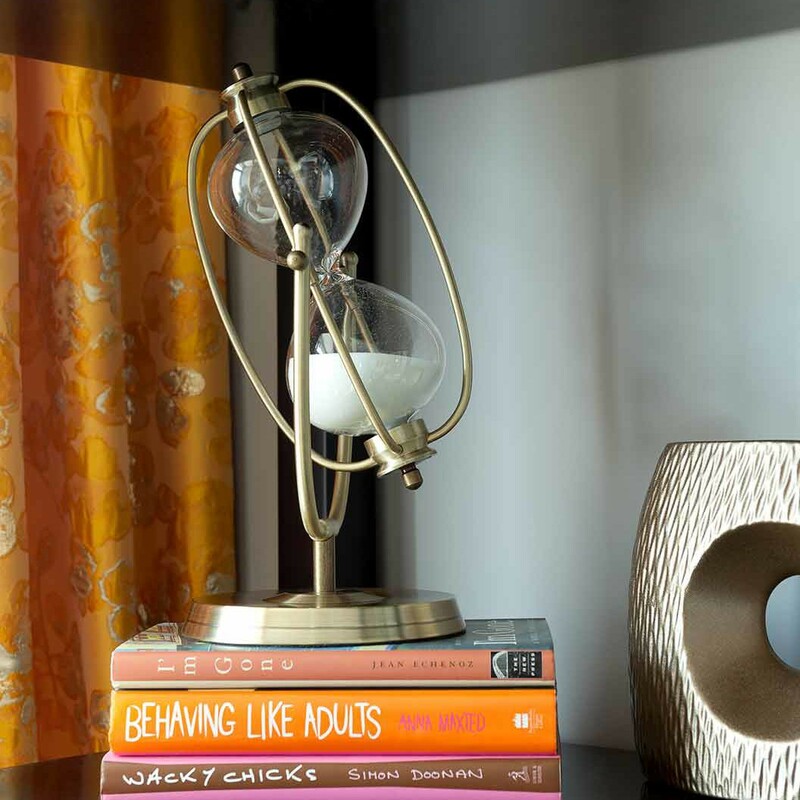 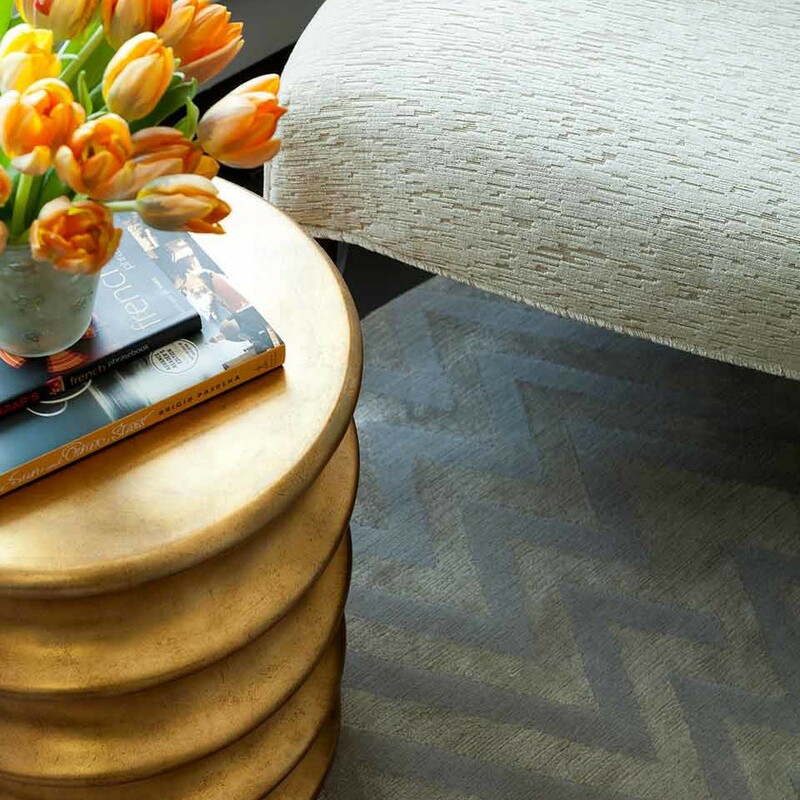 metallic pieces from different eras, like an antique console from lee calicchio, ltd. and a modern gold accent stool, add visual interest. 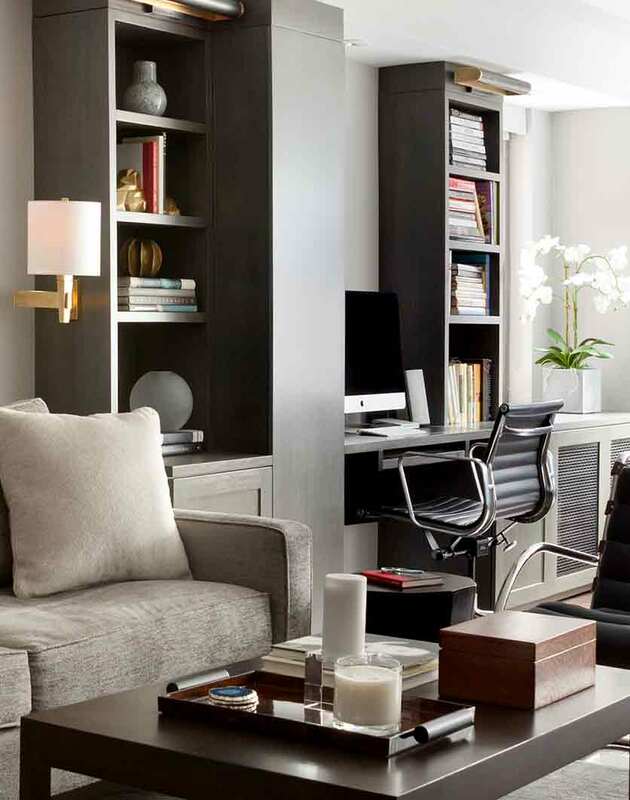 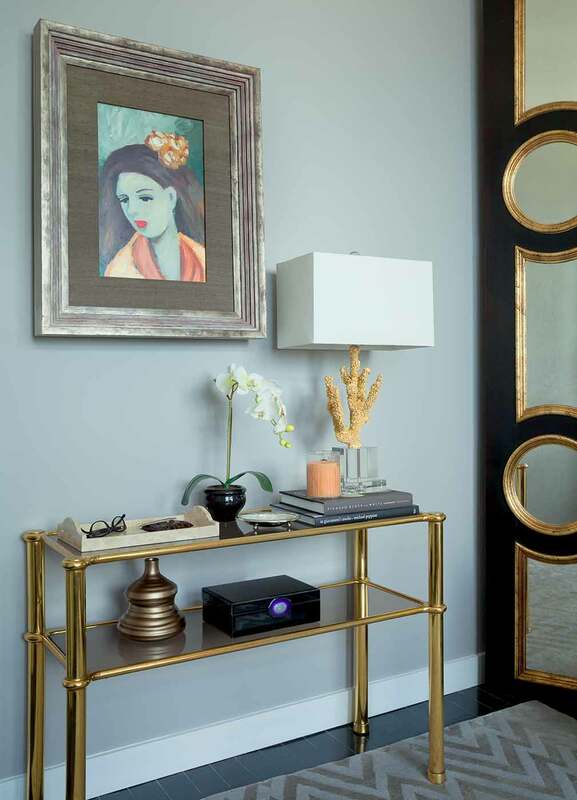 a graphic gold and black screen with mirrored accents brings a healthy dose of old world glam and balance out other more contemporary pieces in the space. 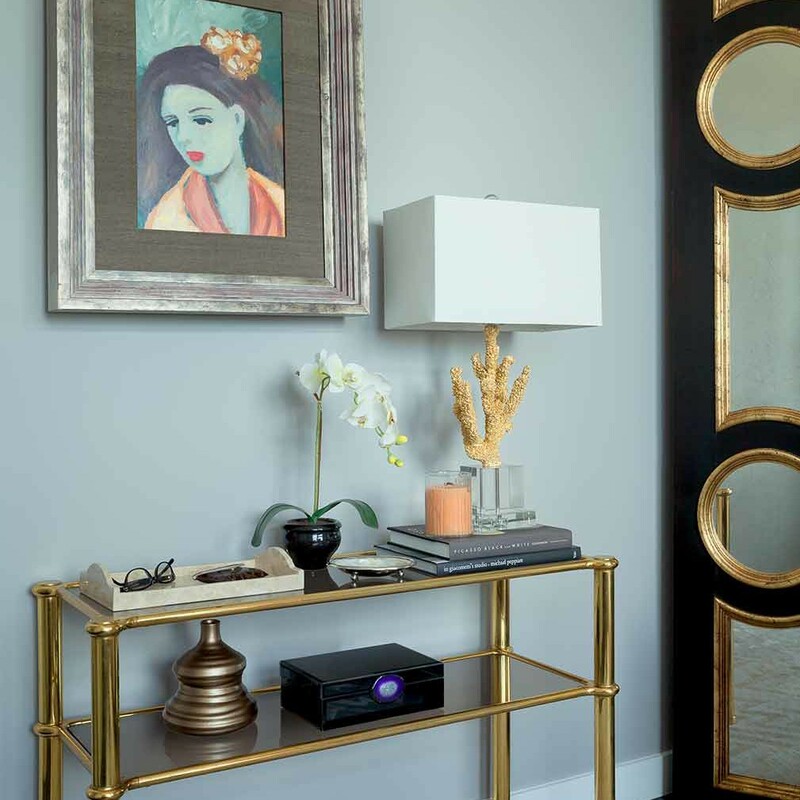 an equally elegant black book case serves as home to transitional accessories like a whimsically oversized hourglass and pretty picture frames. 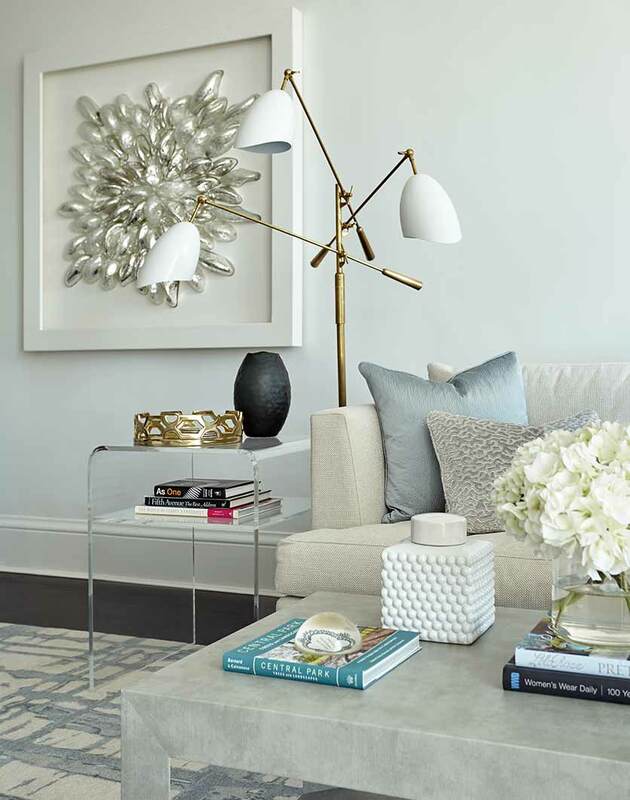 overall the room offers a beautiful blend of antiques and transitional pieces, resulting in a stylish and inviting space. 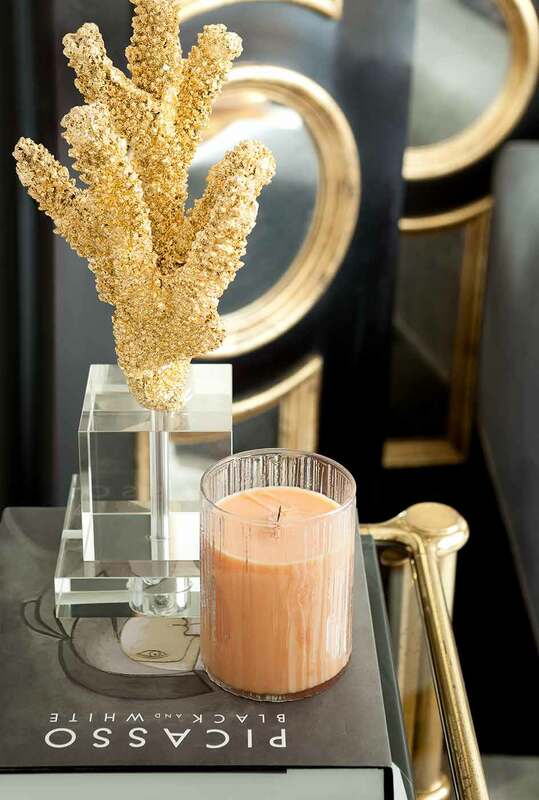 we have a feeling that this showhouse design will inspire more homeowners to inquire about their own lady lairs. 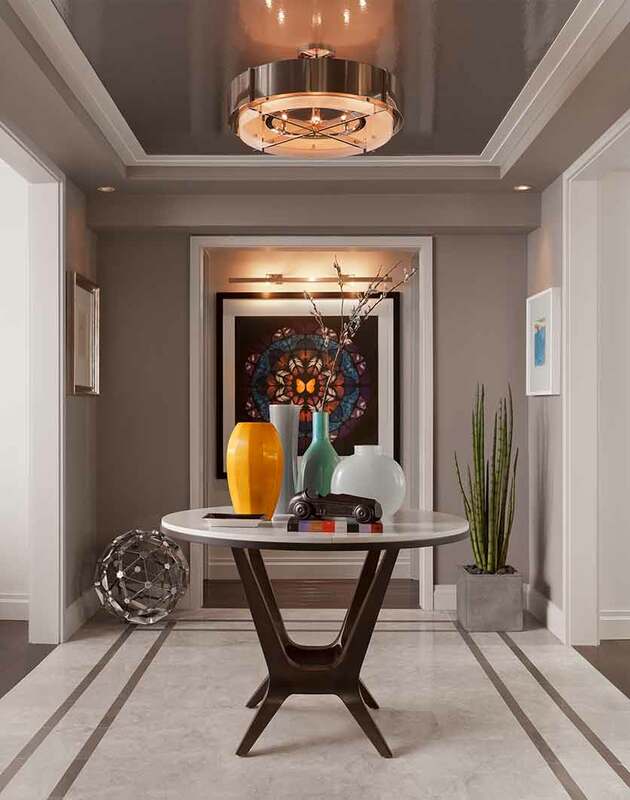 all proceeds from the designer showhouse of new york supported the lenox hill healthplex in west village.